Vesterhav Syd and Vesterhav Nord, which would have a combined capacity of 350MW, are due to be online by the end of 2020, but the developer has now requested this deadline be pushed back to the end of 2023. The request follows the retroactive withdrawal of environmental approval for Vesterhav Syd. Vattenfall requested the extension because it has had to cancel and retender for the manufacturing and installation of foundations, transmission pieces and inter-array cables, as well as the installation of 41 Siemens Gamesa turbines, it stated. The developer secured the rights to develop the two projects in an auction in September 2016, but protests against the placement of the turbines has prompted renewed consultations and hindered the final approval decision. Kristine van het Erve Grunnet, branch manager at the Danish Energy Association, said: "It is extremely important that citizens are heard, and they must be involved in plans and decisions, but it’s not okay that the complaint process (drags on) for two years." The Danish Energy Board of Appeal withdrew the environmental impact part of the construction permit for Vesterhav Syd in December, following a number of appeals. The Danish Energy Agency then requested a new environmental impact assessment (EIA) for the site in February. It also stated that it would likely reopen the case for sister project Vesterhav Nord. It is estimated that a supplementary EIA could take about 18 months, Vattenfall said. Vesterhav Syd (180MW) and Nord (170MW) will consist of 21 and 20 units of Siemens Gamesa’s SG8.0-167 direct-drive model respectively. 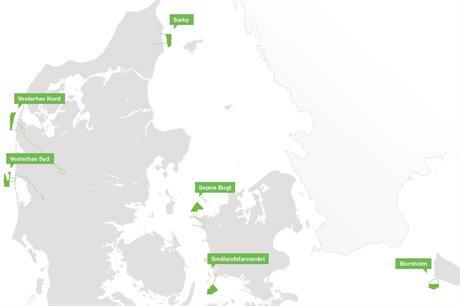 Michael Simmelsgaard, head for offshore wind and country manager for Vattenfall in Denmark said: "We believe that our project is in line with the original environmental impact assessment. "Nevertheless, we have to factor in the possibility that the supplementary assessment will result in one or more turbines being moved. "We have therefore requested that the deadline for commissioning of the project is moved to 2023. This underlines how far we were in the construction process, when the appeal ruling was made and this comes with large implications."